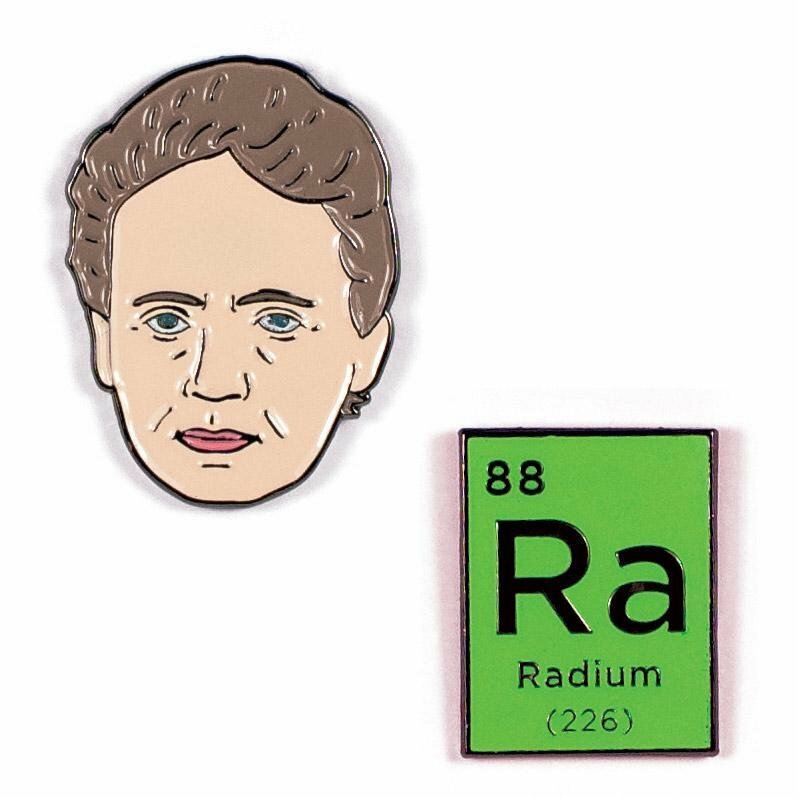 Marie Sklodowska Curie coined the word “radioactive” and named the radium that gave the lab that special glow(-in-the-dark). Wear your heart on your sleeve and inspiration on your lapel! These colorful die-cast Enamel Pins feature historical figures, cultural icons, and big ideas. They're packaged in sets of two with rubber pin backs that really hold on. Each pair of Enamel Pins not only speaks to each other - they're made to mix and match and mash-up in hundreds of combinations.